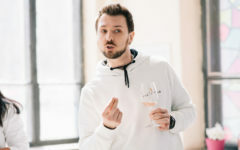 Vin Moldova / World news / Georgian wine entered the Guinness Book of World Records. Georgian wine entered the Guinness Book of World Records. 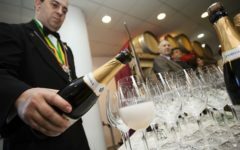 Georgian wine entered the Guinness Book of World Records. The material published on the official website states that as a result of archaeological excavations on a truncated mountain, and Shulaveri hill, chemical remains of wine, dating back to 6000-5800 BC, were found. Neolithic pottery is saturated with tartaric acid. The fact that there was wine in ceramics is also confirmed by other organic acids (malic, citric, amber), which are also part of European grapes. The Guinness World Records web page states that the remnants of wine were found in large-sized jars, which were supposedly used for fermentation, aging, and storage of wine. Prior to this discovery, Iran was considered the birthplace of wine, where chemically identified ancient remains of wine were found. The pottery found on the archaeological site of Hadji-Firuz-Tepe dates back to 5400-500 BC. The remains found in Georgia are 600-1000 years older. The discovery belongs to the molecular archaeologist of the Museum of Archeology and Anthropology of the University of Pennsylvania, Professor Patrick McGovern, the author of the study “The Wine of the Early Neolithic of Georgia”. The research team included scientists from Georgia, France, Italy, Israel, Canada, the United States, and Denmark. 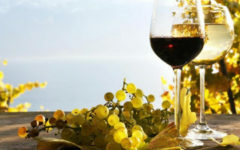 nkerman Ukraine presented at once two major news on updating the assortment of wines of a leading Ukrainian producer.